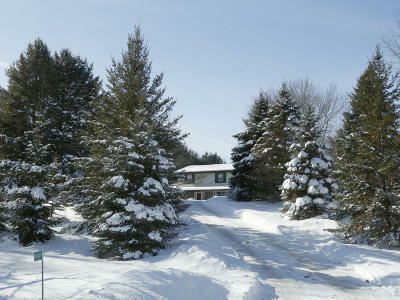 Comfortable colonial situated on a gentle rise among mature evergreens just west of Elegant Farmer and Lake Beulah. Open concept design from the large Great Room with natural fireplace to the kitchen with dinette, hardwood floors and appliances included. 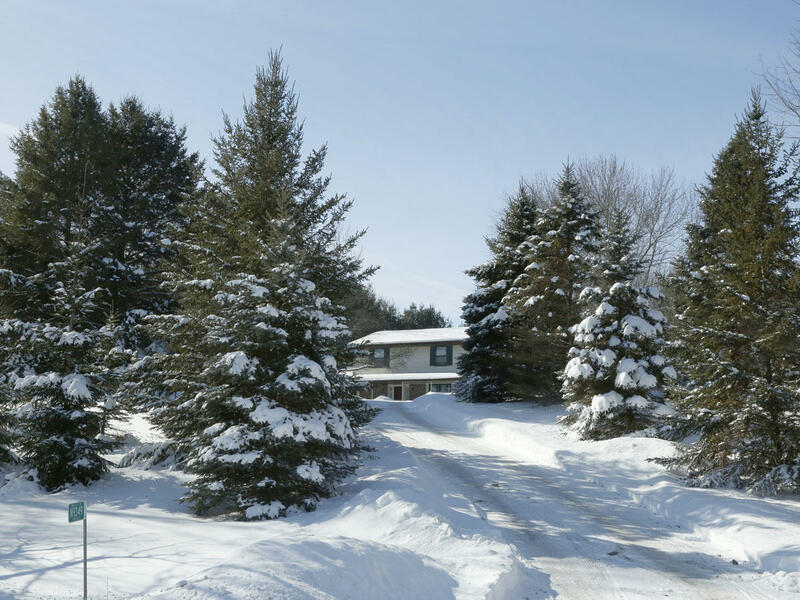 The tiled sun room addition offers sweeping views of the 5 acre partially wooded lot. Entertain with ease in the screen porch out back or the formal dining room with hardwood floors. Great layout for a large gathering! Upstairs you'll find a large master bedroom with WIC, 2 additional bedrooms and a full bath with jetted tub. The lower level offers plenty of storage and finished rec space. Bring the toys-the 40x30 outbuilding is sure to please! Quick commute into Mukwonago and I-43 access!